Optimizing your website making it search engine friendly by which you can increase your search engine traffics or visitors. In other word it is process or methodologies by which you can increase your online customer by using its latest techniques. People to find your site via a search engine, the site will require a high Search Engine Results Position (SERP). This means when they search keywords phrases like SEO techniques, they will find you site page on the first page of the search engine results. Ending up on the 10 page of the search engines results will not get you any traffic. There are no tricks here, just a bit of work and some time. So let's get started by reading the following list of SEO Techniques! Choose your site domain name that contains words from your primary keyword phrase. Your domain name should also be easy to spell and easy to remember. Use keywords that are being searched for. you can also look at Google AdWords Keyword Suggestions for suggestions for different keyword phrases. Add keyword synonyms to your content. Put the keyword phrases in the . Insert the keyword phrases in a H1 TAGS tag at the beginning of your page. Keyword synonyms should be put in your h2 & h3 tags. The h1, h2, h3 tags are used for titles and subtitles in articles. Keyword density is a very important part of search engine optimization. Keyword density in according to your content should be 10 to 15 % of content. Construction of your title tag is one of the most important things you need to do. Each page should have a different title with 2 or 3 of your keyword phrases at the beginning. When search engine results are displayed the title is the first thing people see. Below the title is a description which will be either be taken from your meta name description content="Description phrase" or from the first sentence on at page. You description should also have 2 or 3 of your keyword phrases at the beginning as so should your first sentence. You should have a different title, description and first sentence on each page. You many also what to try shorter titles with only one keyword or keyword phrase as this will raise you keyword relevance. Also you can consider putting your domain name at the very end of the title. The meta keywords tag is not as relevant as it used to be and some say Google doesn't ever look at it anymore, but put it in anyway. It is as follows, and put in it all your keywords and keyword phrases. This tag should be different for each page. The Author Tag should contain the name of the company that owns the site. This tag will help you get a #1 position for your company's name. Use a generic Robots Tag on all pages that you want indexed. This instructs the robots to crawl the page. The following is the generic robots tag. The more the better. Just remember your content will need to be both quantity and quality. Many search engines can't follow frame links. Make sure you provide an alternative method for the search engines to enter and index your site. For more information read search engine frame. A good menu system is really a site map. A well constructed menu system that is on each page and contains a link to very page on the website is all you need. All of the top 3 search engines look for site themes or a common topic when they crawl a website. If your site is about one specific topic you will rank better than if you have more than one theme or topic on your site. By using similar keyword phrases in each page the search engines will detect a theme this will be to your advantage. While this file is not really required it should be included so that the search engine bots don't get 404 errors when they look for it. Just include the following 2 lines and drop it in the root. Thanks for sharing best information about SEO.i have also found one website which offier similar services"Directory Submission,One way Link Building,Social Bookmarking"
After wasted my lots of time on internet i have experienced awesome Internet Marketing services providers. They are giving excellent and quality work. They are very much professional and good in their work. SEO is a technique to stay in the top of search results and a very essential need for every online business. In this day and age, if you want to increase your bottom line, it’s essential to hire professional SEO services. That was a nice introduction to learn everything about Search Engine Optimization(SEO). We are doing Web designing,Custom web development services & web application development services geared towards your specific goals and needs.We provide Search Engine Optimization Services like Search Engine Optimization, Directory Submissions,SE Compatibility Analysis, Meta Tags Placement,Article Submission,Website Competitive Analysis, Link Popularity Development,Content Optimisation,Keyword Marketing Research. I have go through your post and found some information which is very useful for me. Thanks for sharing.For beginners,make sure that the keywords are included in your title tags. For blogs, you need to create a good quality content for your business. 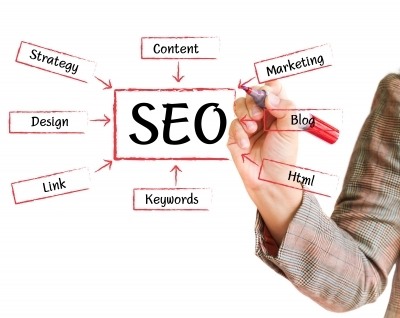 SEO Services are the technical way of Internet marketing to increase the traffic on the website. SEO plans are contain article, video, forum and social media marketing, along with blog networking and press release creation. The SEO Services India believes that there are many factors that impact the ranking of a site in search engines. hi ! Thanks or your valuable tips but i think the keyword density 10-15 is too high, as some Search Engine not recommend more than 5%, Blogs are the Best way to share or gain views or ideas as SEO Newsoffers related SEO News. Ive got an informative insight with your post and I find it useful. A lot of thanks for sharing. I am SEO Consultant with over 4 years of work experience in optimizing Insurance, Travel, Corporate, Finance and E-commerce websites. Highly successful in Implementing Search Engine Optimization (SEO) on Dynamic Websites and CMS driven websites. If you have any query Regarding Search Engine Otimization(SEO) OR Internet Marketing . Please Feel Free to contact me on moin.jafri@gmail.com.